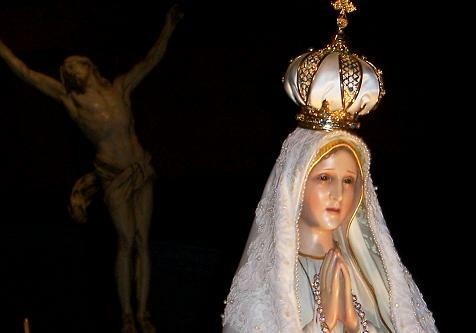 The MISSION of the CROWN OF MARY'S LUMINOUS LIGHT OF THE EUCHARIST (CMLLE) is to help lay men and women to a deeper spiritual life so as to be beacons of light to one’s family, friends and community on their journey with JESUS, guided with the FIAT of MARY and the SIMPLE LIFE of ST. JOSEPH and ST. FRANCIS. Heart of Jesus, make my heart like unto thine! who might want to receive it. Sharing it and by doing so will help expand the reach of this ministry. The Blessed Mother will be more than pleased.Thank You! Fr. Toman,SJ a retreat master said:"Don't get so caught up and content by just doing a lot of the work of the Lord...that we hardly have time for the Lord of the work!" 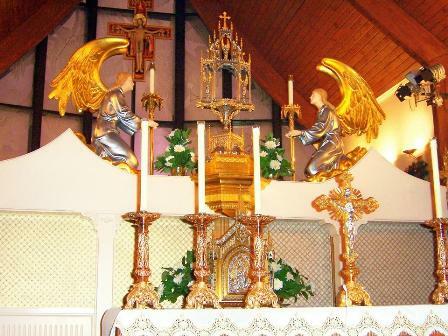 Let's make the time and go visit Him in the Blessed Sacrament!